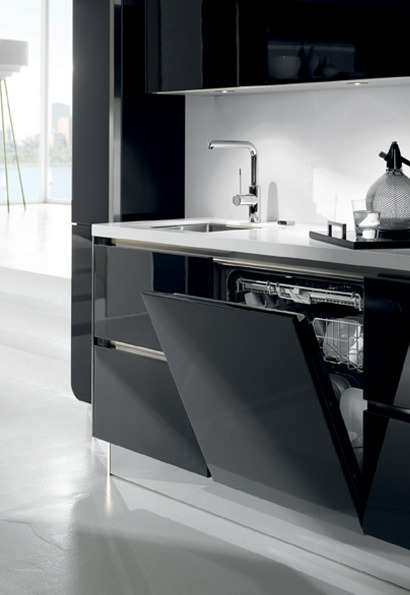 High gloss kitchens; actively encouraging creativity. 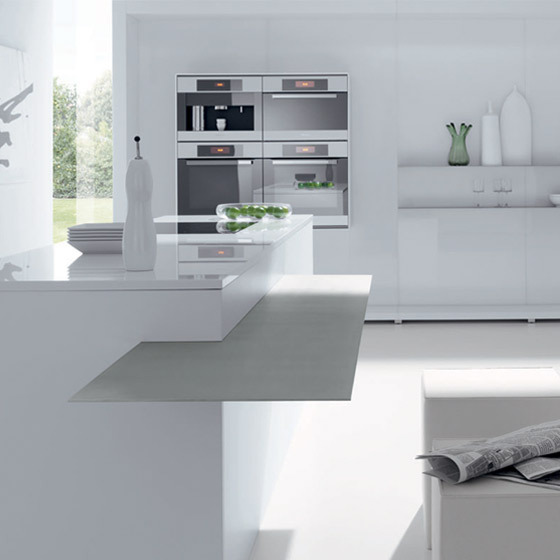 This new generation kitchen encourages your creativity, use the interplay of light and shade. Experiment with surface contrasts and texture; juxtapose glossy with matt; acrylic, glass, with lacquer and laminate; create reflection, tone and highlight. Ice range: make entertaining guests one of life’s joys. a family home flooded with light. 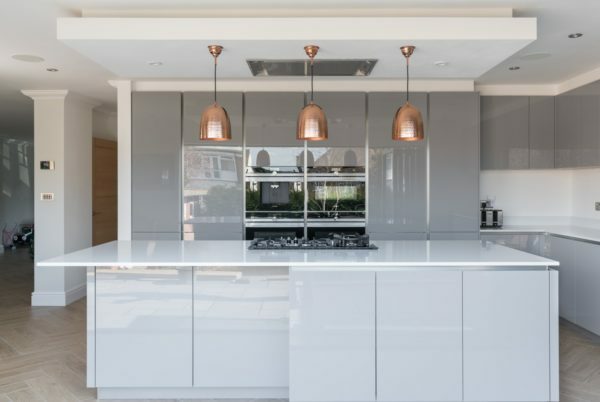 Beautifully designed custom built equipment allow a design that can meet any requirement for cooking ideas; bespoke made units of matching quality and style. Light control allows a workstation of sculptural satisfaction and pleasure in a highly functional form concealing appliances and well designed storage. Cool beauty with the use of colour and light, the interplay of surfaces make a practical cooking space into a pleasure to live in, an aesthetic delight. 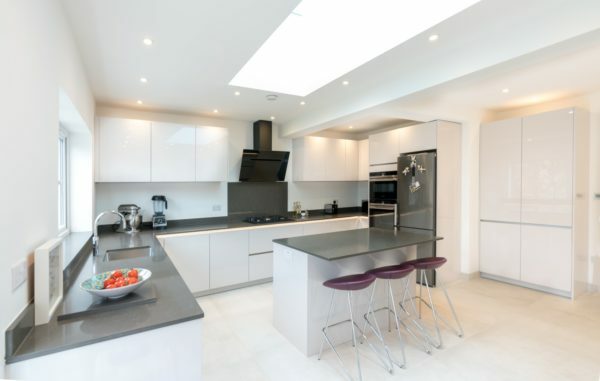 High Gloss kitchens offer a way to give your kitchen a polished and luxurious finish, by reflecting natural and artificial light. Choose from a large range of colours and design features and combine with or without handles or even a combination of the two. The High Gloss kitchen units/doors combined with a handleless design make for one of the most popular kitchen styles around today. 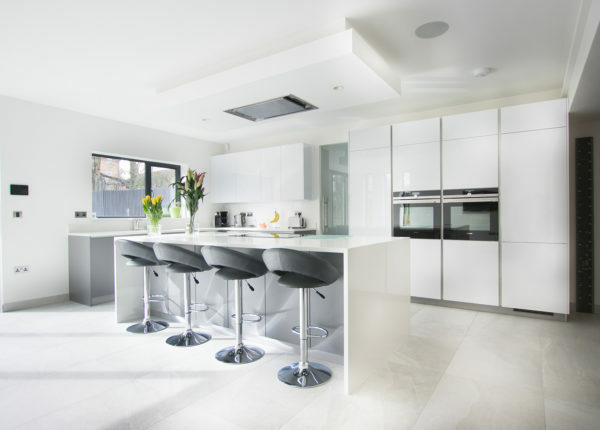 Approximately 60-70% of all the kitchens we design and install are High Gloss and Handleless. 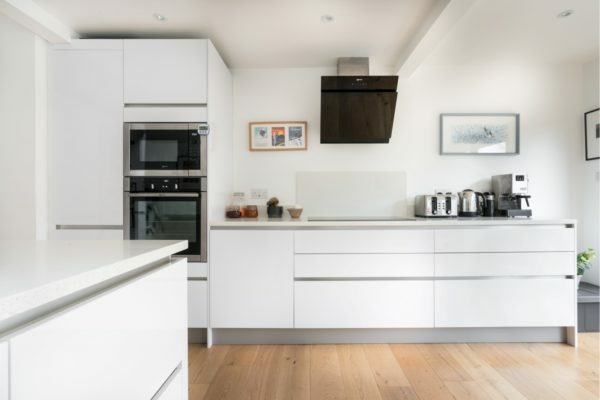 Made popular by their streamlined, sleek and elegant appearance as well as providing function as well as form – especially when installed in smaller kitchen spaces. 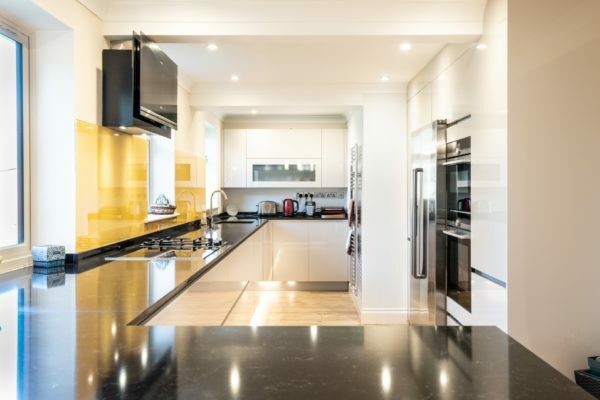 What are the benefits of a High Gloss kitchen? 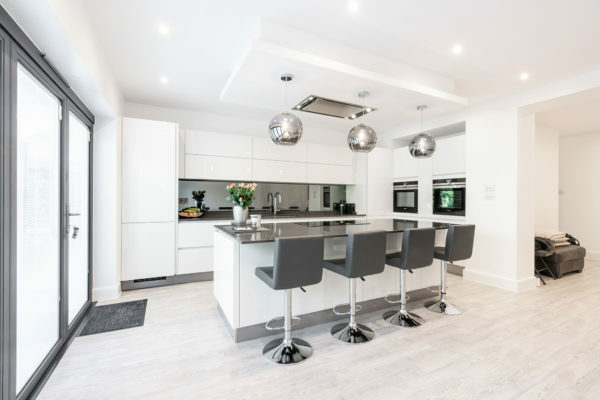 Aside from the obvious attraction of the design, High Gloss kitchens do have a number of benefits over more traditional designs. They are easy to clean, with smooth and waterproof surfaces, simply run over them with a damp cloth. This makes them extremely hygienic (even more so without handles). The appeal of the modern and timeless design will surely help with resale values if you are looking to sell your home in the future – if not it will be all yours to enjoy!